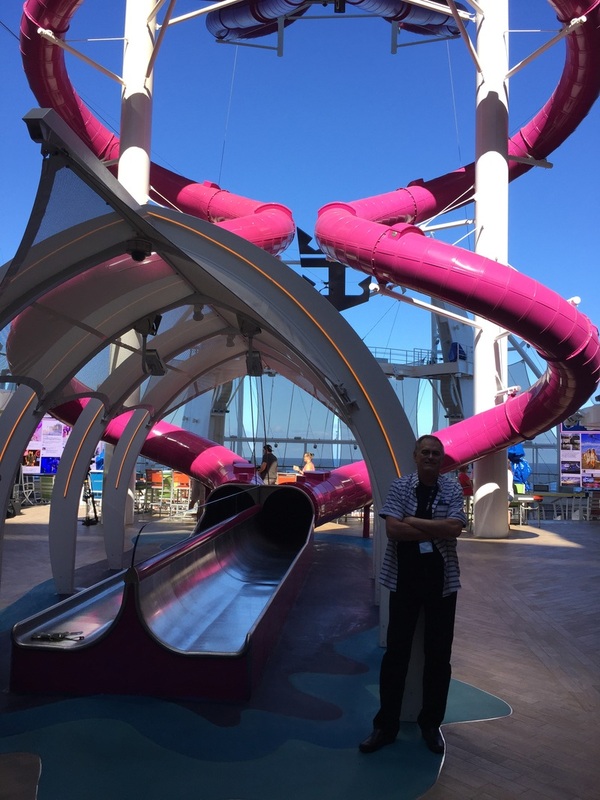 ABOARD HARMONY OF THE SEAS _ It's no big deal, right? 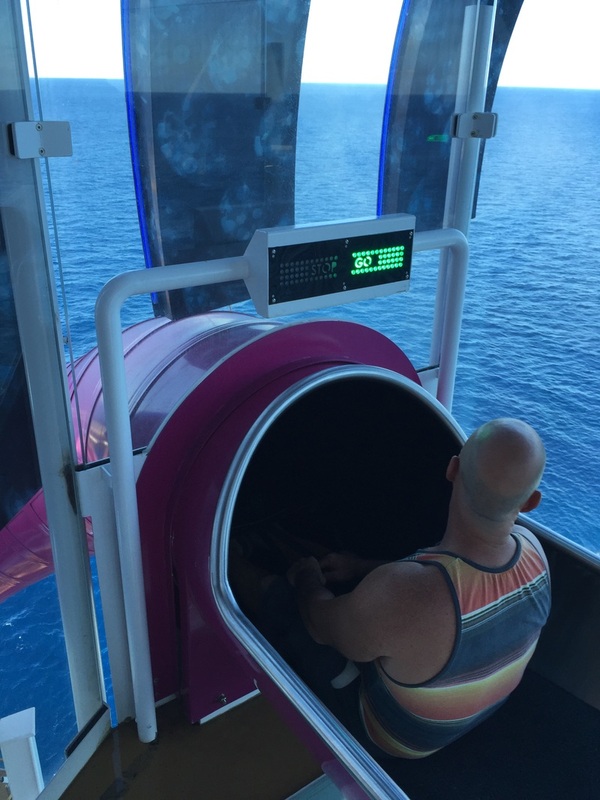 Just slide into a narrow opening and plunge 10 stories through a winding tube. 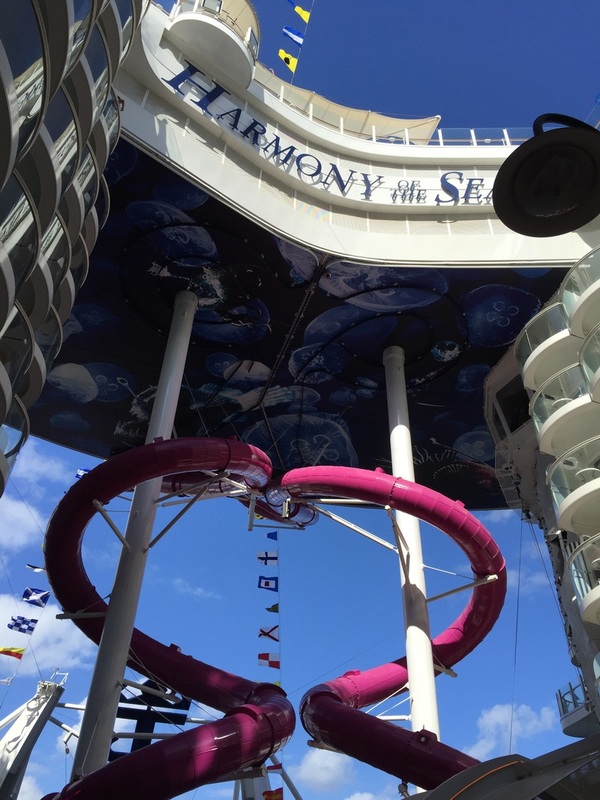 It's called "The Ultimate Abyss," and it's the new thrill ride on Royal Caribbean's newest ship, Harmony of the Seas, the largest cruise ship in the world. 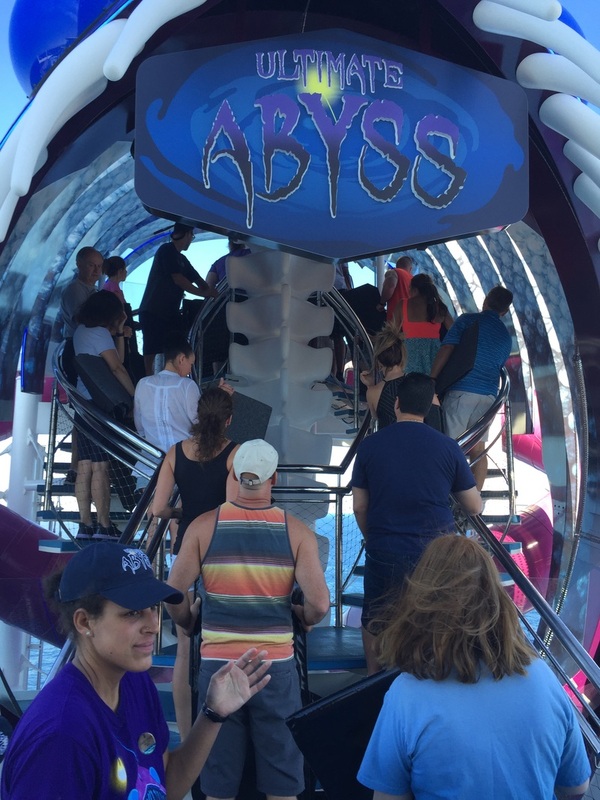 Large ships need large thrills, and the Ultimate Abyss is engineered to do just that. Well, I can't put it off any longer. Join me, will you? We'll start at the entrance, pictured on the right. 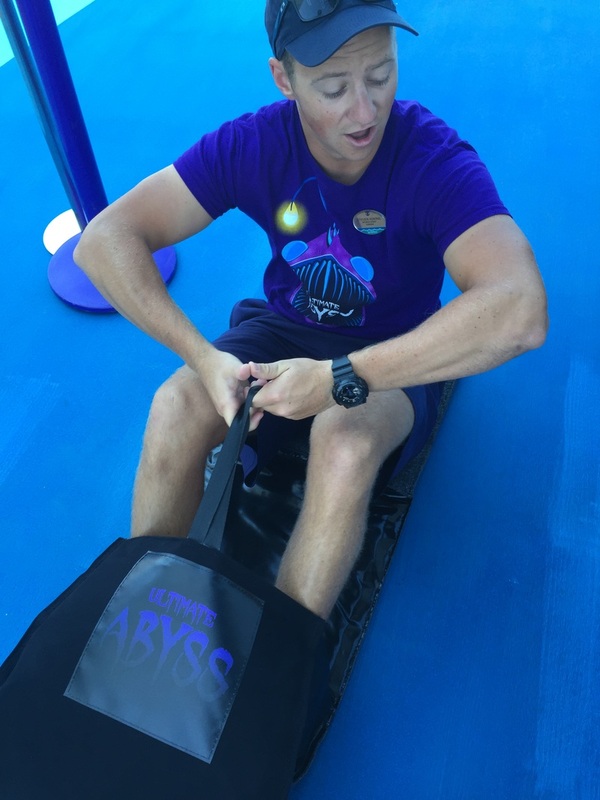 The staff wear shirts that say, "Only for the Brave." That isn't helping my confidence. Up we go ... no turning back now. He's got the "Go" signal. I'm next! have to make those teeth so long? as he is demonstrating. Must remember, keep arms straight. so you can see what 10 stories looks like. Yikes. And there I go! I'm inside that tube ... somewhere! I made it! And didn't even scream. Do I get a T-shirt? ?